Whether you’re on the road a little or a lot, make the most of the opportunity to tell the world what it is that you do. Total Sign Co can transform your car, truck, van or your entire fleet into rolling billboards that work hard for you all hours of the day and night. We offer two types of vehicle signage – digitally printed adhesive vinyl and adhesive vinyl lettering – both will build awareness for your business with every trip you make. Our digitally printed adhesive vinyl is specially formulated to conform to your vehicle’s shape. Our prints are supplied finished using UV clear laminate, so you’ll rest assured knowing your prints have exceptional outdoor durability. 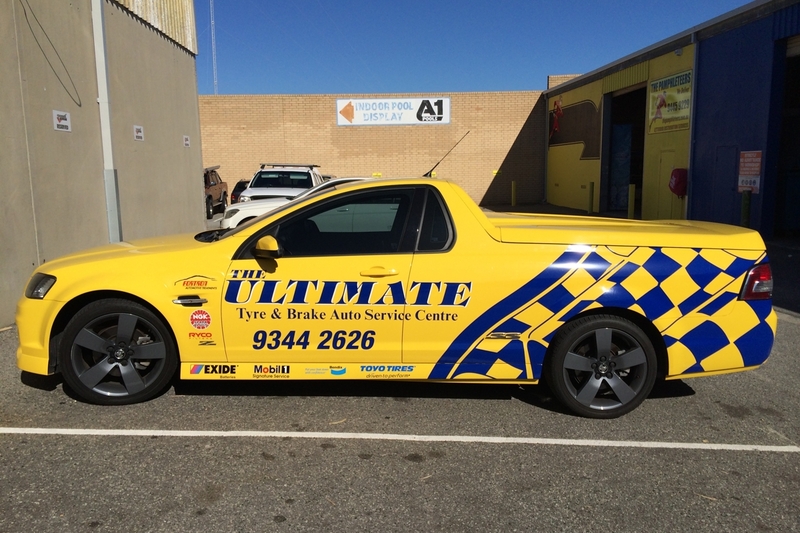 For more information – see Car Wraps. Our adhesive vinyl lettering is cut from a quality outdoor, durable and long lasting vinyl. It’s available in over 300 colours, allowing you to create exactly the look you’re after at the price you can afford. Prefer to have the flexibility to remove the signage when you want to? Consider our car magnets instead.